With Far Cry: Primal being announced just a few weeks ago, it seems there will be another tribe-based title making its way into the world of gaming. However, the two of them will have very distinct differences. While they will both be open-world games set in a primitive era, Far Cry: Primal will be focusing solely on the lives of tribe members as they try to progress themselves. 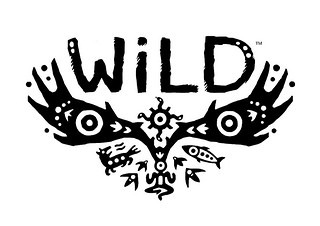 On the other hand, WiLD will be a game where you play as a shaman, possessing the abilities to summon animals, and even play as those animals, as you gain powerful knowledge and utilize nature to help you complete quests and things of the sort. Officially revealed back in August of 2014 by the developers of the newly-formed Wild Sheep studios, this game is looking to be a milestone in the open-world genre. The game will take place in a vast open land that will feature dynamic seasons and weather that will affect how the game is played. Basically what this means is that the environment will be constantly changing, allowing for different animals to spawn in and be used for many varying purposes. WiLD will be based around a great deal of adventure in the world, but also will rely highly on skill to progress forward in the storyline. Meaning that you will need to recognize the specific situation you find yourself in, and what exactly needs to be done to succeed. As shown earlier today at Sony’s media briefing for Paris Games Week, the shaman needs to save a woman who has been bitten by a venomous snake. What he does to accomplish this task starts off with calling upon an eagle to search for, and capture a snake. He then uses this snake to summon the Mighty Snake Divinity who can provide him with an antidote, and even teach him how to control snakes for his own purposes. These features open the door to a vast array of possibilities within the game as you move along in the storyline and do whatever you can to assist your tribe. Besides the single player mode, WiLD will also feature some form of multiplayer, although, what it will consist of is not known just yet. A release date for WiLD has not been announced yet, but it has been established that this game will be an exclusive for PlayStation 4. God, Nauglamir and Feyfolken like this.